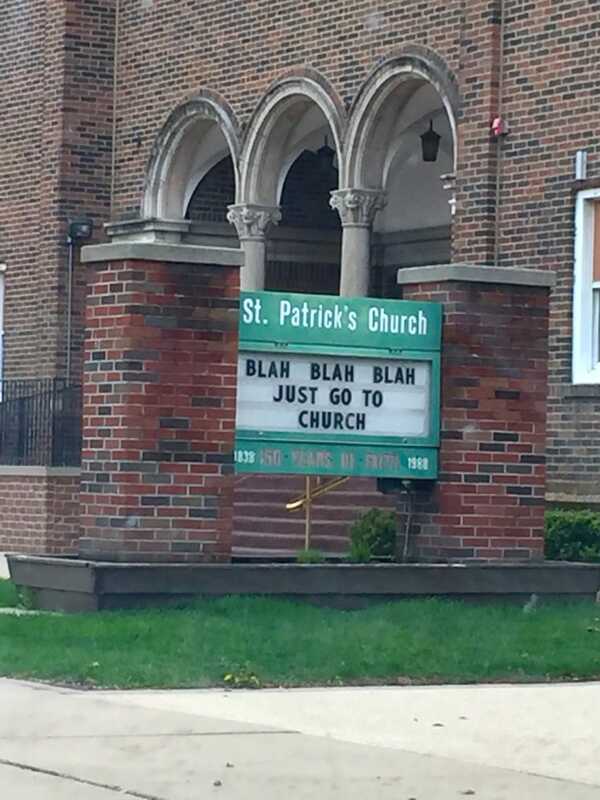 Whenever I’m driving around my hometown, I always know I’ll get a chuckle while passing by a church in our community that’s notorious for their hilariously clever signs. 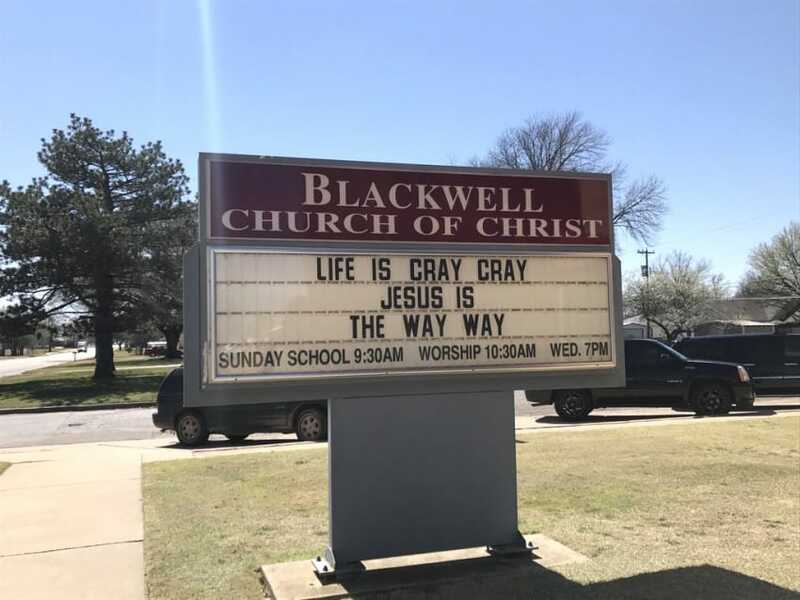 Most of us think of houses of worship as strictly business, but plenty of them are clearly capable of exercising their funny bone, as you’ll see in the creative church signs below that folks spotted in their neck of the woods. 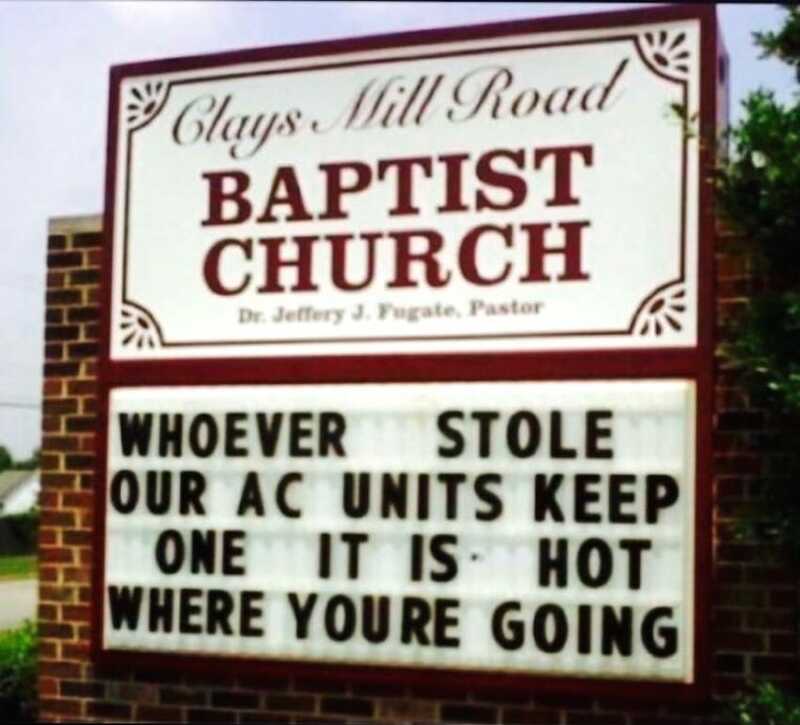 It’s always nice to see that on top of their weekly services and acts of kindness for their neighbors, there are those who can also embrace their sense of humor. After all, it’s that much easier to convince someone to come inside if they’ve already got a smile on their face! 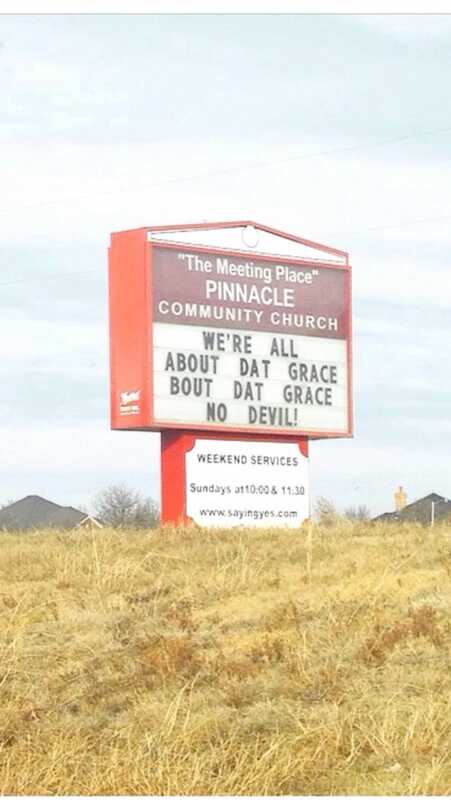 Does your church get silly with their signs? 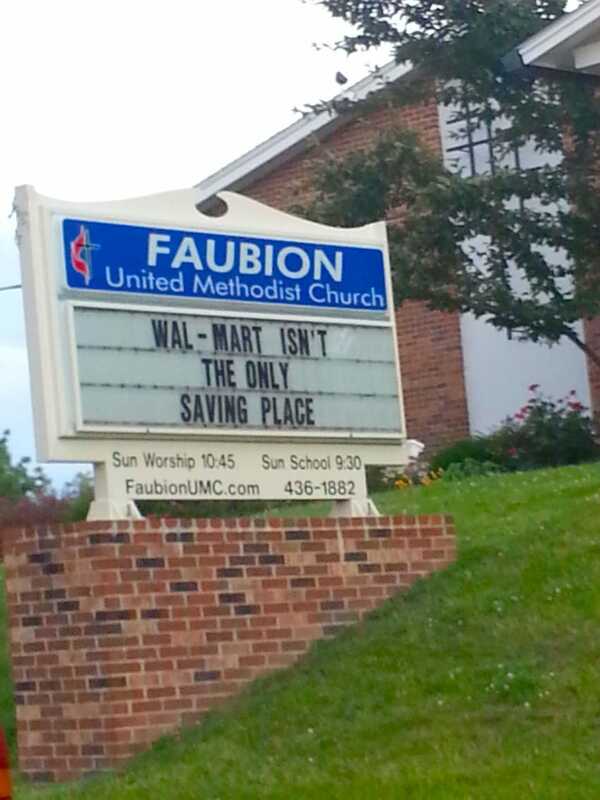 Or do you have one in your town you know will always give you a giggle? Now, this is some expert-level poetry if you ask me. You can’t deny this solid logic. 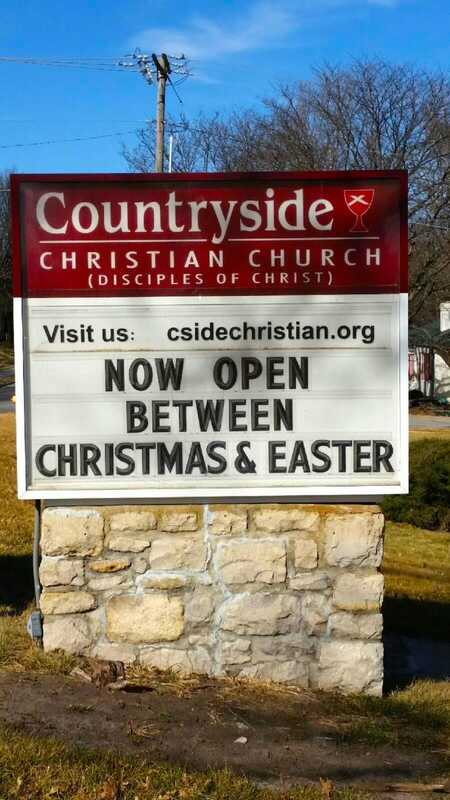 They really should have paid better attention to the fine print! Their cup runneth over quite enough. 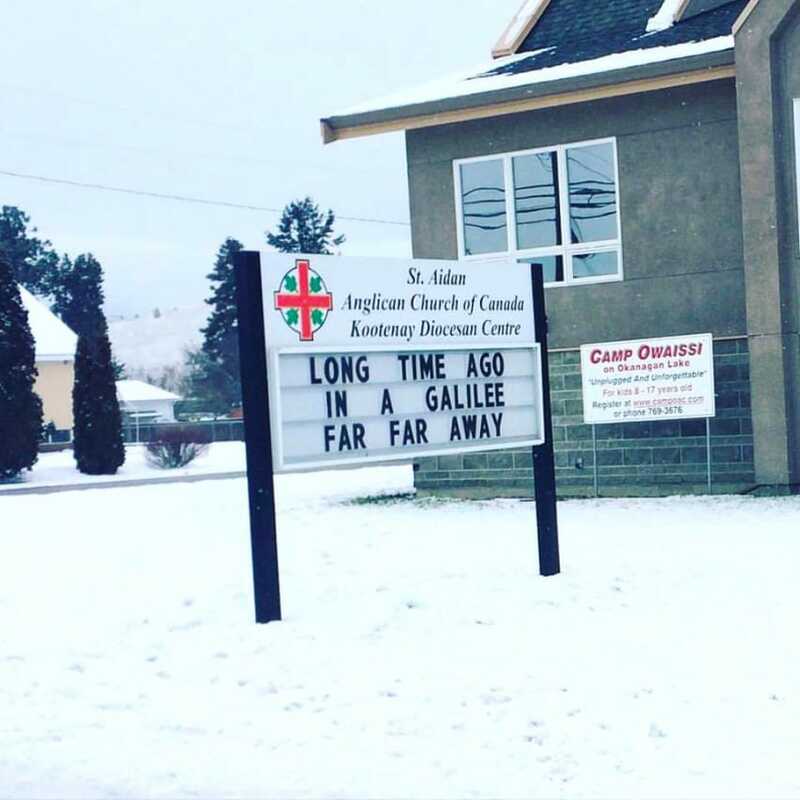 Looks like the sign guy at this church is a Star Wars fan. Admit it, this totally got “All About That Bass” in your head, didn’t it? They might be paraphrasing, but I think the sentiment definitely holds up. 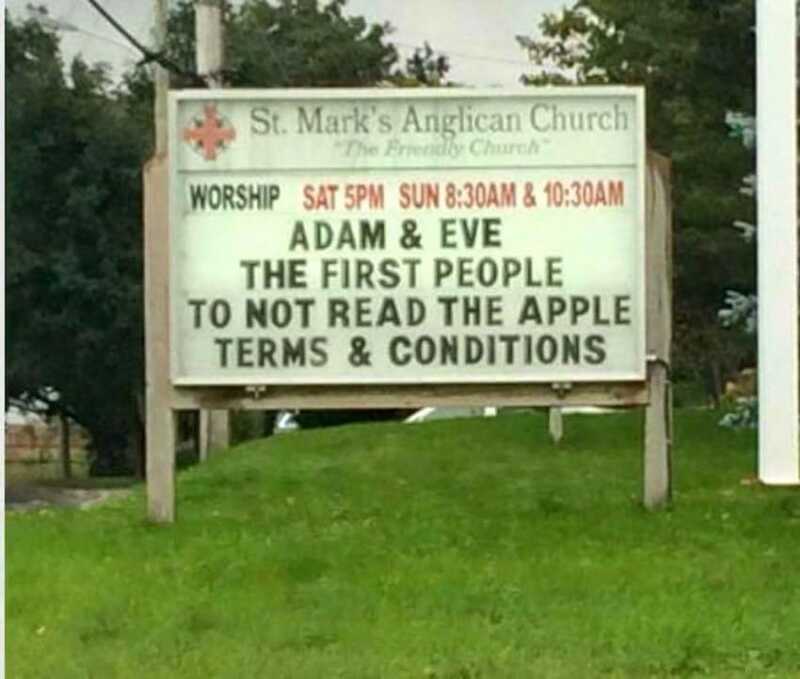 They can’t all be zingers, but this totally gets the point across anyway. 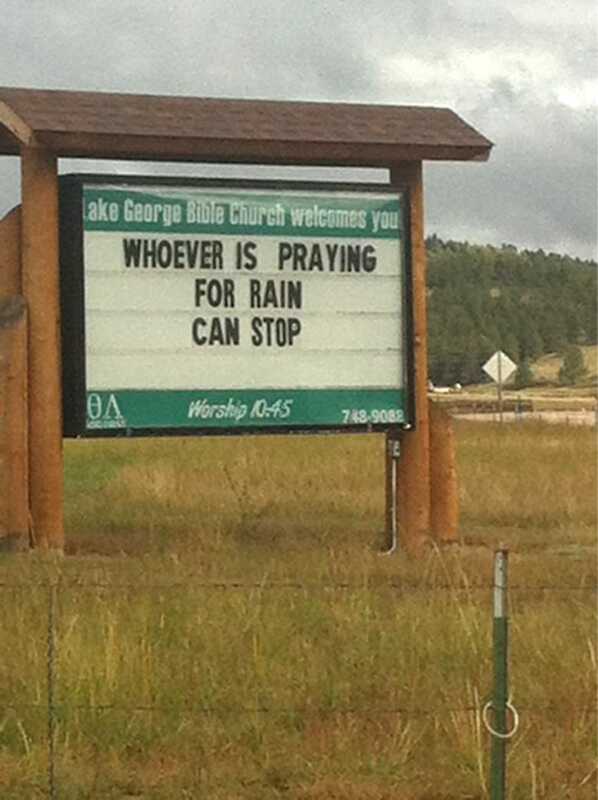 I have a feeling they had a similar sign during the cold winter months. 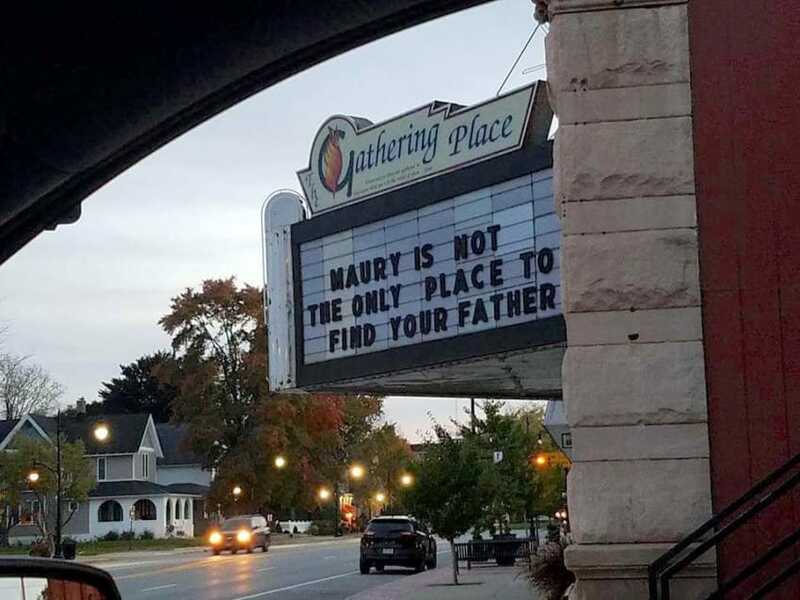 I think Maury himself would be proud of the clever person behind this hilarious sign. Some churches even give out free samples of crackers and grape juice too. A not-so-subtle reminder for those who “forget” to attend in between the holidays. 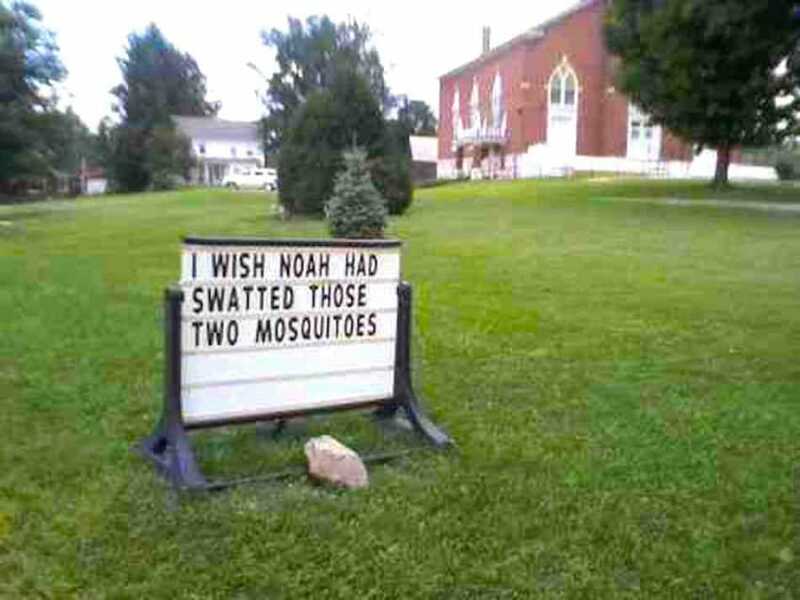 Just imagine a world without these pesky pests swarming around every summer. It’s always good to have a goal in life, y’know? 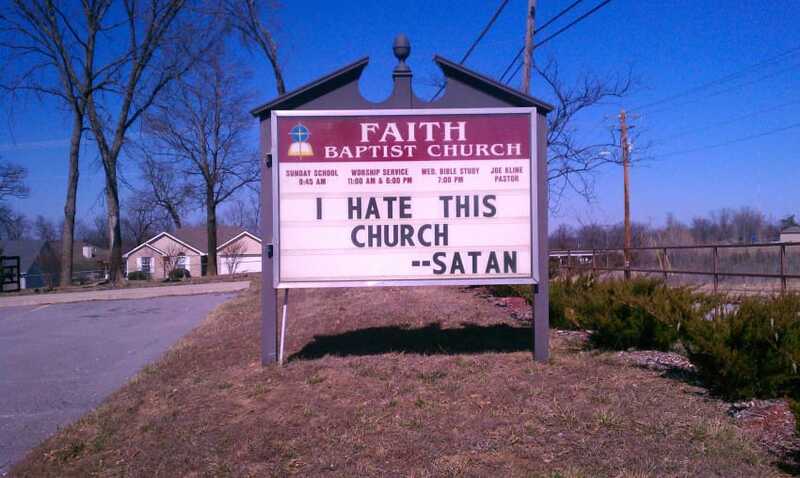 Have you seen any signs that are even more hilarious around your town? 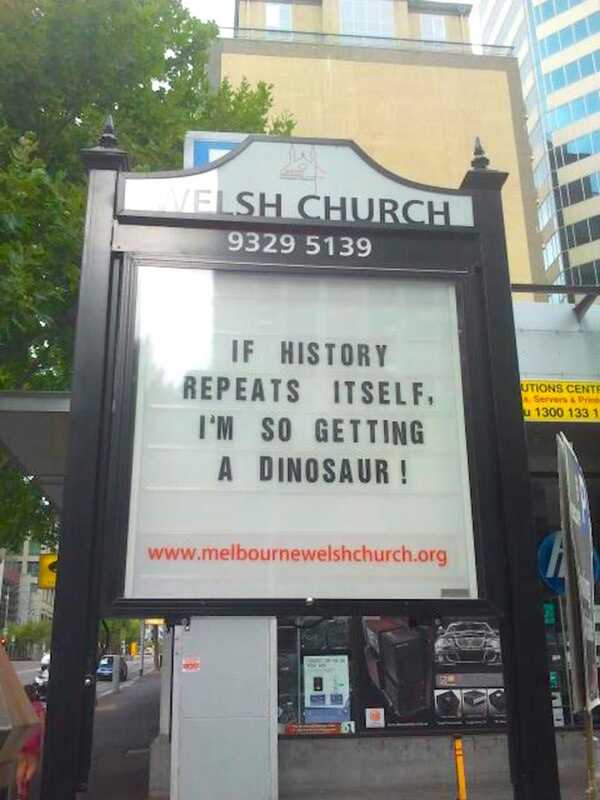 Or does your church like to mix in some jokes on their signs too?